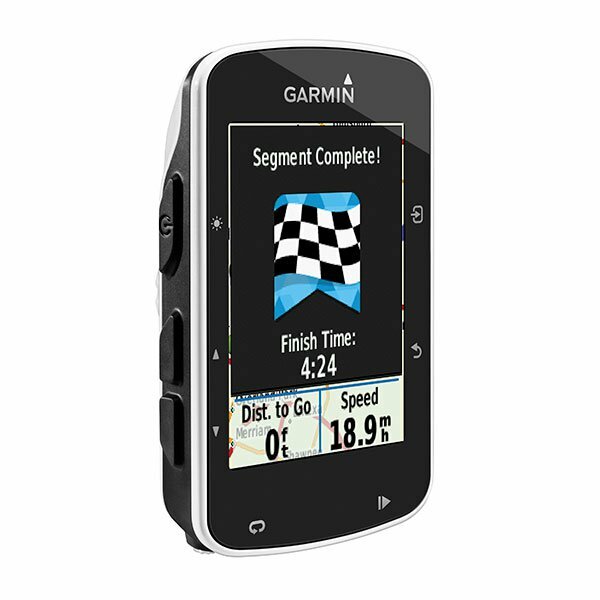 Garmin Edge 520 is the ideal cycling GPS device for indoor training and outdoor cycling. The screen is 3.5 by 4.7 cm and this Edge is waterproof to IPX7 standards. You can get real-time analytics to compete with other cyclists. You can also pair the Edge 520 with Vector 2 technology so that you can view power, cadence, left/right balance and cycling dynamics. GPS and GLONASS satellite connectivity is also included to ensure you maintain satellite connection in many challenging environments. 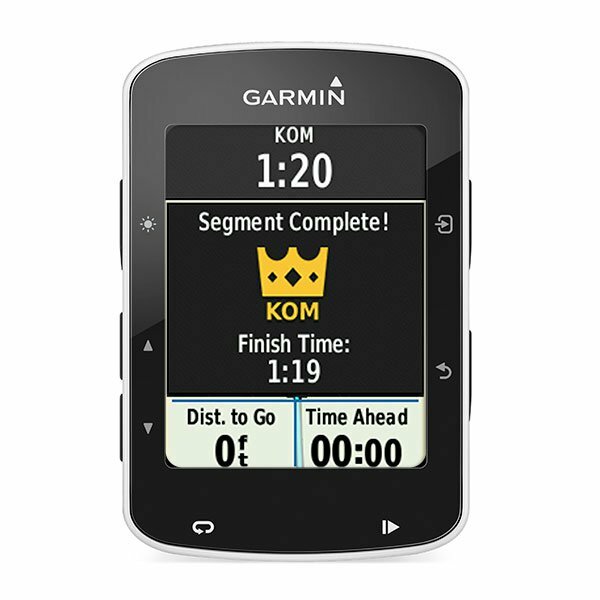 Garmin Edge 520 has been discontinued. 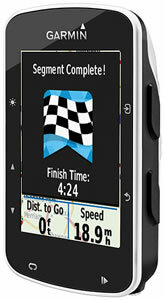 The Garmin Edge 520 is a cycling GPS system that will help you train indoors and ride outdoors. The screen on the Edge 520 is 3.5 by 4.7cm and is a colour display. The Edge is compact and rugged with a battery life of up to 15 hours making it ideal for off-road adventures. The Edge is also waterproof to IPX7 standards. View real-time cycling statistics as you cycle outdoors. Compete against other cyclists in real-time and view leaderboard rankings. Time in zone and alerts for segment start and finish are provided too. Included is a 3 month trial to Strava Premium which is software to enable real-time monitoring of your progress and compete with other cyclists. Furthermore Vector 2 pairs seamlessly with your Edge 520 to provide vital cycling statistics. Information provided includes power, cadence, left/right balance and cycling dynamics. You will be able to view how and where power is produced. 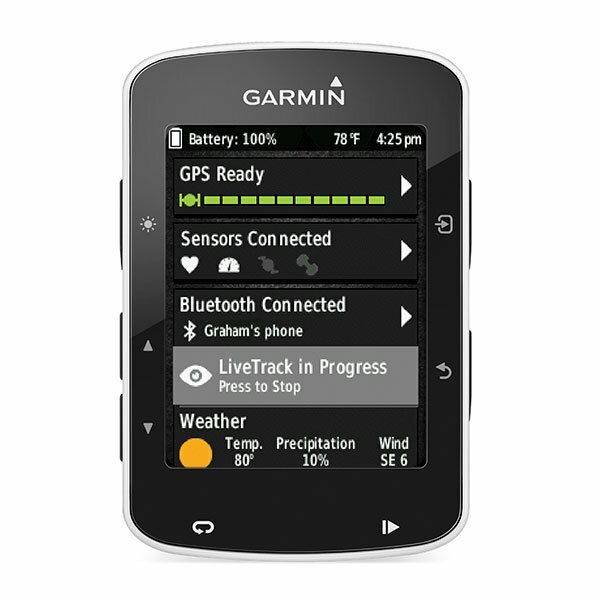 Live tracking is also available with the Garmin Edge 520 so friends and family can see where you are in real-time. Smart notifications are also provided to the Edge 520 when connected to a compatible smartphone. You can also send and receive courses and connect with social media, share statistics and view weather. When training indoors you can use ANT+ technology. When you set a target on the Edge 520 simply start pedaling and the trainer will automatically adjust to keep you at your target. Race against courses created by another rider and adjust resistance to match elevation profile. View your current gear on screen with Shimano Di2 electronic shifting systems. You can also connect the Edge 520 to a heart rate monitor to view heart rate on the screen of the Edge 520 and also view calories burned. 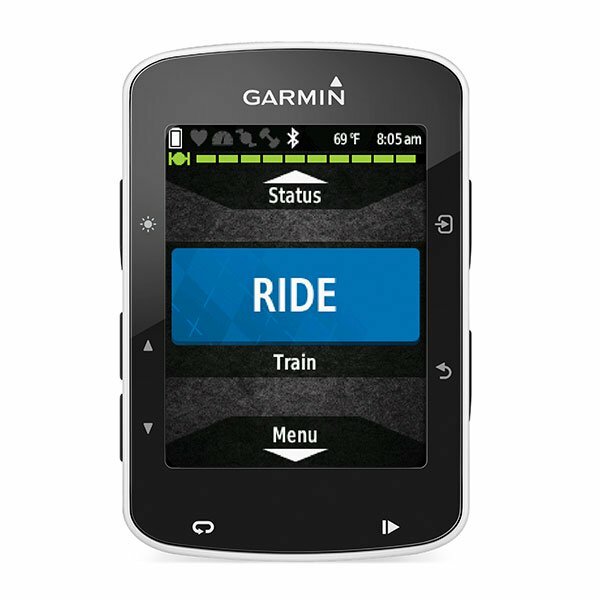 Use the Edge 520 with 'Garmin Connect' and save, plan and share rides. GPS and GLONASS satellites are connected to making satellite signal very quick to lock on to, accurate and reliable in many environments including where there is heavy tree coverage, tall buildings and more. ‣Real-time information on screen. Compete with other cyclsts. Looking for accessories to use with the Garmin Edge 520 bike computer? We sell a vast selection of genuine parts and spares including Edge 520 carrying case, quarter turn bike mount, bike cadence and speed sensors and micro USB cable. Question: I am looking for a UK cycling map for my Garmin Edge 520 - I am riding from Lands End to John o' Groats and would like a map! Please can you suggest if such a map exists or can be created? I need roads but not much other details. Thanks. Answer: For street-level road mapping for your Garmin Edge 520 I would recommend Garmin City Navigator NT Maps of UK and Ireland as a download from Garmin. 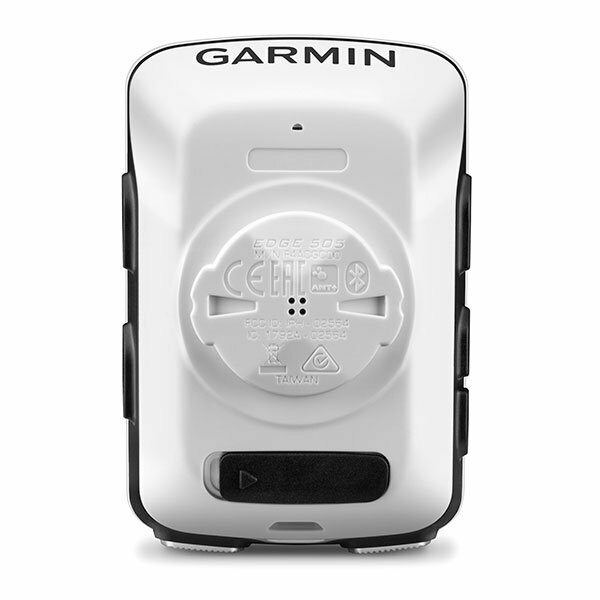 While we sell the UK/Ireland map on SD/microSD Card, the Garmin Edge 520 DOES NOT have a SD/microSD Card slot, therefore a download is your only option. 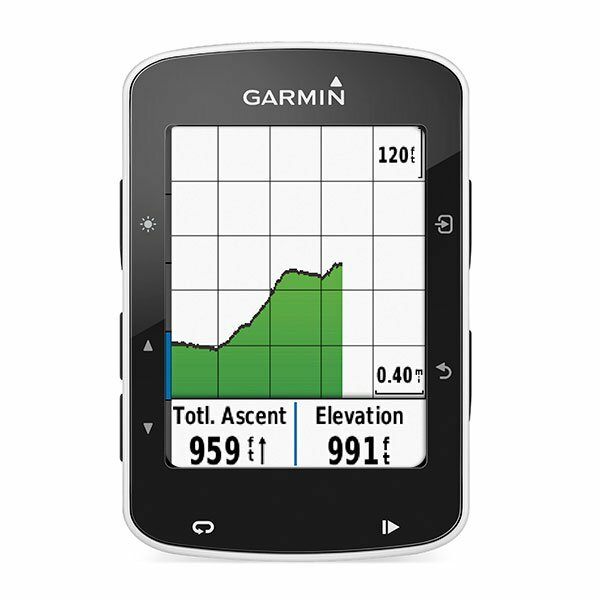 Do you have a question about the Garmin Edge 520? Submit your question via our contact page.